Oreo Canada has a great new instant win contest for you to play! 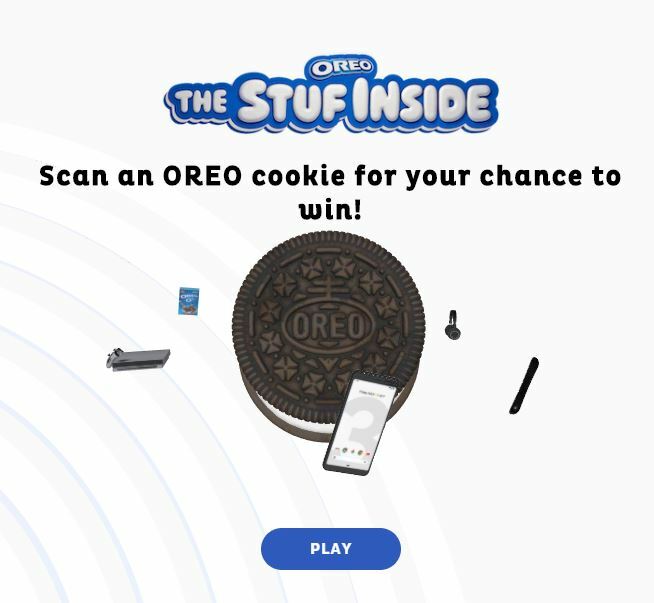 For a chance to win daily prizes, try your luck at the “Stuf Inside” contest. There are no purchase necessary to participate, and although it does ask you to use your camera to scan an actual oreo cookie, this is not required, as you are able to select the option to not use the camera. For today, February the 10th, there are 100 Oreo DJ boxes to be win, so be sure to try your luck and let us know if you win. On February 14th, there are 20,000 Oreo Candy Bar free product coupon available to be won, so mark your calendar and don’t forget to play on that day, as you are almost certain to win a coupon. Another 10,000 0f these coupons are also available to be won on February the 16th, and March the 2nd. Click here to play the contest!